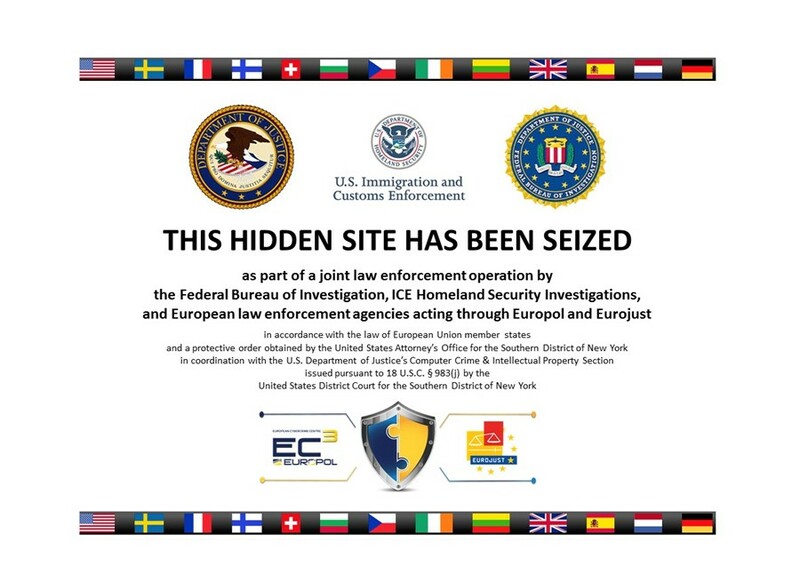 Last week, the FBI and Europol raided the homes of various vendors across the world in a crackdown on the sale of drugs across the darknet called Operation Onymous. Alleged Silk Road 2.0 founder Blake Benthall was arrested in San Francisco at the weekend and has reportedly confessed to everything. Does this mean the darknet drugs marketplace is dead? Probably not. According to Europol, 410 hidden services were taken down. Bitcoins worth approximately US$1 million and €180 000 in cash, drugs, gold and silver were also seized. Six Britons have also been arrested in the raids, including one 19-year old and a 20-year old, bringing the total number of arrests to 17. But Andrew Newman, the executive director of the Tor Project, told the BBC that he believes that law enforcement agencies have exaggerated the importance and impact of the raids. "They overemphasised what they did," he said. "When they say they've busted 400-something, you expect 400-something to have actually been busted. And it doesn't seem that's the case. What they've said was, 'Oh no, we've broken apart 400. And no, now it's 50. Now it's 27. And... maybe it's actually less than that." The Tor Project has posted a blog listing the plausible ways that Operation Onymous managed to locate these "hidden services" and called for the police to reveal their tactics during the trials of the seventeen people arrested. Europol defended its initial announcement in a statement: "We did not say we took down 414 hidden market places. A hidden market place may have a dozen domains pointing to it and making up that market place. What we did was remove 414 of those domains which disrupted the operations of many illegal market places." As it stands, Operation Onymous shut down 27 sites that they believe to be distributing illegal products including drugs, weaponry or counterfeit goods. The homepages of popular marketplaces such as Silk Road 2.0, Pandora and Hydra now display an FBI seizure notice. But it was hard enough for the police when the war of drugs existed on the streets and on ships; it's even harder when dealers have moved online. 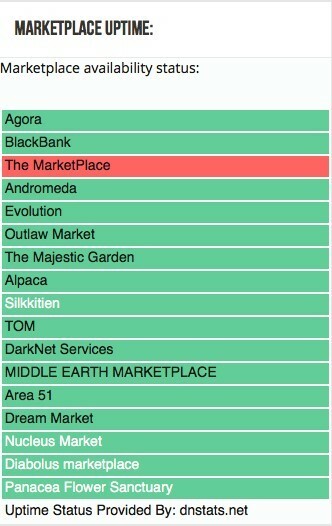 There are plenty of darknet marketplaces are still operating, including Agora, which overtook Silk Road 2.0 as the most popular marketplace earlier this year. 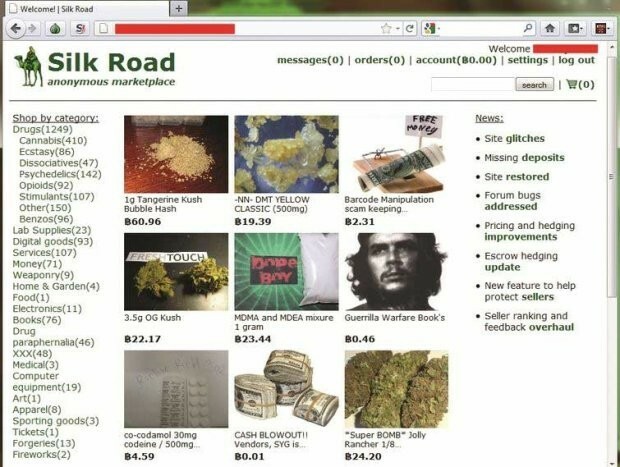 The site boasts nearly 20,000 listings, more than Silk Road 2.0 did at its time of closure. Smaller sites such as Evolution and Andromeda are still running. Silk Road 3.0 Reloaded has already launched, but as the Daily Dot points out, this was just an existing marketplace with a rebranded name. Its .onion address is linked to Diabolus Marketplace, a site that turns up on the subreddit of functional darknet markets. The point being nobody seems deterred by the FBI raids; witness the emergence of Silk 2.0 just five weeks after the original's closure for evidence, with some operators even reimbursing customers who lost Bitcoin in the wake of the first FBI raid. When one site goes, the remaining sellers simply transfer their business to another one. Some have heavily criticised the closure of such sites, pointing out that darknet trading provides a (relatively) peaceful way to buy anonymously drugs away from the streets. The argument goes: people will always want drugs – why not do it this way? Even the Washington Post published an article slamming the attempts to shut down darknet marketplaces, citing the prevalence of safer, higher-quality drugs on such sites and the removal of street dealers as reasons to embrace this new economy. Meanwhile, dealers are already looking for viable alternatives. OpenBazaar is one: the site is currently in open beta but hopes to launch sometime in 2015. It's a decentralized network, meaning that it has no leader or prominent data centre, making it extremely hard to arrest someone in a raid. The site models itself as a Bitcoin eBay, as opposed to a marketplace specifically meant for nefarious transactions. Obviously, people will still be able to use it to peddle drugs (and they will). The FBI will come after OpenBazaar, but the structure of the site makes it much harder to catch any criminals. How long far can Operation Onymous go while the darknet community becomes savvier at a quicker rate than the police? This darknet revolution is not defined by one or two drug marketplaces – it's inspired by a desire to remodel how economies function. However many sites the FBI and Europol shut down in one day, more will be set up the next. Government agencies are only scratching the surface, peeling back only the very first layers of the .onion.